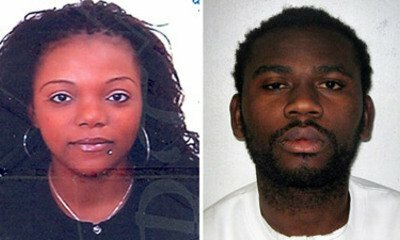 A Europe based Congolese couple have been found guilty of the barbaric murder of a 15-year-old boy who they believed was a witch. Magalie Bamu and her partner Erik Bikubi, subjected her younger brother Kristy to four days of brutal torture in which he was reportedly attacked with knives, sticks, metal bars, and a hammer and chisel. The boy had been on a holiday with his two brothers and two sisters to London from Paris to spend the 2010 Christmas holidays with their eldest sister, where she turned on him and became convinced he was possessed. They believed he had cast spells on another child in the family, the Old Bailey heard. Tests found Kristy, who was singled out after wetting his pants, had suffered 130 injuries and that he had drowned in the bath during a final ritual of deliverance. The teenager had refused to admit to sorcery and witchcraft and his punishments in a “deliverance” ceremony became more horrendous resulting in the rooms being left covered in blood. Bikubi and Magalie Bamu reportedly also deprived the other children of sleep for four days, made them fast and forced them to pray. At one point, Bikubi is said to have told the youngsters to jump out of the window to see if they could fly. They looked to their older sister to save them, but instead Magalie encouraged Bikubi and beat Kristy until he also confessed to witchcraft. The defendants, who denied murder, were remanded in custody to be sentenced on Monday. “It is a case we will all remember,” Judge David Paget said. He also said he would be exempting members of the jury from jury duty for the rest of their lives. Adoring the dedication you put into your site and detailed insight you present here. It's nice to come across a blog in a rare occasion that is not all the same outdated rehashed material. Fantastic job! I've bookmarked your site and I'm including your site link to my Google account now. Even more, I appreciate your site so much that I am interested to advertise my own site http://www.emt.co.il on it. Please contact me at: everythingrainbowhk (AT) gmail.com quoting your annual ad prices. Much appreciated!